A buffet at popular chain, Soup Restaurant is something we would least expect, but it is happening now! From Monday to Friday (11.30am to 5pm), enjoy free-flow of Soup Restaurant’s signature dishes for an affordable price of just S$18.90++ per pax at both their Hougang Mall and VivoCity outlets. Here is what you can expect from Soup Restaurant’s A La Carte Lunch Buffet, and the dishes you can enjoy with this exciting new promotion that you must not miss. Besides having unlimited congee and rice as your base, you can enjoy classic congee pairings that will be very familiar to you. These include – Salted Egg Yolk, Braised Duck Wings, Squid Fritters, Butterfly Prawns and Eggs. Don’t fill your tummy up just yet because there are more dishes included in this buffet. 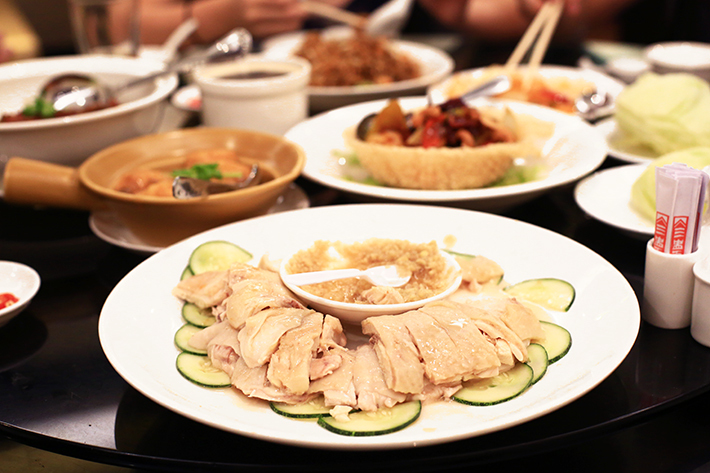 Some local Nanyang delights offered in this awesome buffet deal are – Siew Mai, Char Siew Pau and Yam Cake. If you are particular about your vegetables, you will be happy to know that veggies such as Fried Baby Kai Lan, Fried French Beans with Minced Pork and Sambal Kang Kong are also part of the a la carte buffet’s menu. Eggs and tofu are our kind of simple happiness, and we are more than happy to konw that the Tomato Egg and Claypot Tofu are included too. Let us not forget the meat and seafood dishes, which just might be the most exciting part. 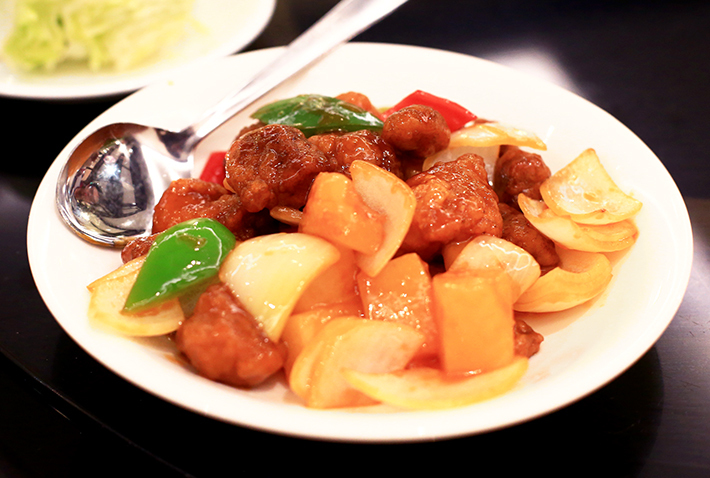 Make your money’s worth with dishes that include – Sweet & Sour Pork with Pineapple, Black Pepper Venison, Fried Fish Belly and Claypot Salmon. And here comes the real deal. 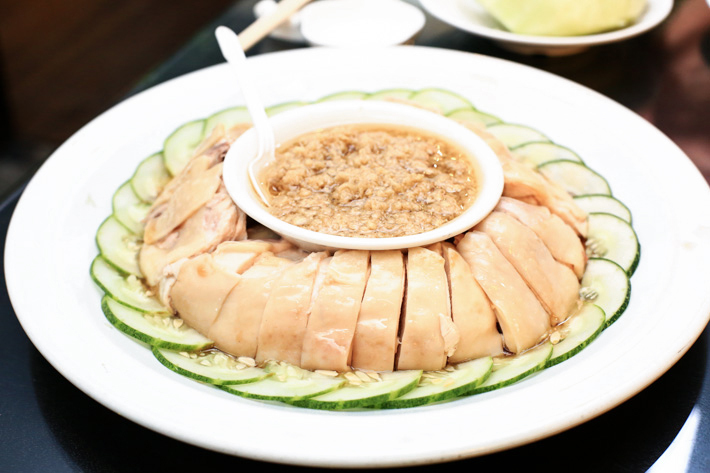 For every two paying diners, you are entitled to one premium dish of your choice, and they include everyone’s favourite Samsui Chicken (Soup Restaurant’s signature), Tofu Prawns and Half-Steamed/Half-Fried Pomfret. The premium dish is strictly limited to one dish per 2 pax. Vivocity outlet says no buffet!